Keyboarding practice has little to do with music and more to do with learning how to type – fast. Even as I am writing this article, my eyes are flitting between the computer keys and the screen. It’s not a practice that’s recommended for hitting the accelerator if you want to speed up your typing. Learning to type fast is almost a survival skill in the Darwinian digital jungle. It’s directly related to saving time you put into a work and improving your productivity. If you are a freelance digital worker, then I don’t have to tell you that it is also about money earned in the limited hours you have. The good thing is that learning to touch type is a no-brainer. You just need to be methodical with your practice. Handholding you through your typing lessons is this free cross-platform software. That’s the first thing that struck me when I downloaded and installed TIPP10. The good thing is that TIPP10 as a free touch typing tutor works for Windows, Mac OS and Linux. On first launch, the typing tutor starts with an introductory tutorial which is just thing if you are beginner at typing. TIPP10 distinguishes between three tabs for three types of lessons that can be distinguished with the clock, light bulb and pencil icons – Training Lessons, Open Lessons and Own Lessons. As a beginner you will start with the Training Lessons which will work you through the basic characters as they occur in common practice. The main interface displays 20 sequential training lessons. The lessons are arranged according to ease and commonly used characters are practiced earlier and more frequently than those that appear less frequently. Open Lessons are dictations covering various topics. They are arranged according to subjects and are meant for intermediate typists who need to practice with normal text. TIPP10 being a German product has open lessons in that language only, but as the developers say, other languages will be included soon. For English speakers, the above gap does not matter because the third tab on Own Lessons lets you create your own by adding, editing, and importing from a text file. Text can be dictated as a Sentence Lesson or a Word Lesson. The explanations given on the side show how you should set the dictation with word lessons preferably. Consult the Help file if you are confused. You can set the dictation to go according to time or total number of characters. If you want to tackle a lesson from start to finish, deactivate the Intelligence feature and select Entire Lesson. Also set the option on how you want the typing tutor to handle errors as you type. For example, you can select the Audible Signal option if you want to hear an audible signal each time you make a typing error. The practice window has a virtual keyboard and a display ticker above it. A status bar in the lower part of the screen provides you with additional information. Pressing the space key starts the lesson and the timer. The key that needs to be entered appears in color and all you need to do is follow the ticker and enter the text that appears using the PC keyboard. The character that needs to be typed appears with a gray background in the ticker. Results are displayed after your lesson ends or you have exited prematurely. You can also view the results directly from the menu. It is displayed in six tabs each with a different set of information. For instance, and interestingly – The Fingers chart will show you your error rate per finger. You can see which finger is causing you trouble. TIPP10 has quite a few more goodies tucked away. The ABC Game helps you practice your touch typing by ‘hitting’ falling letters with the right keystroke before they fall to the ground. 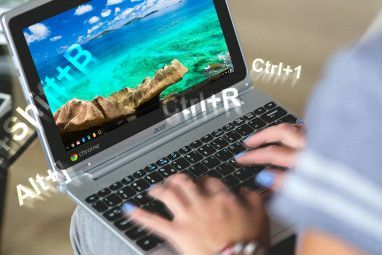 The game might not be as entertaining as the few we have profiled here 3 Fun Typing Games To Race Your Friends With Your Keyboard 3 Fun Typing Games To Race Your Friends With Your Keyboard Technology is advancing at a rapid pace, yet much of our digital communication still relies on the keyboard. Starting with the typewriter - which debuted way back in the middle of the 19th century -... Read More , but it’s welcome practice. 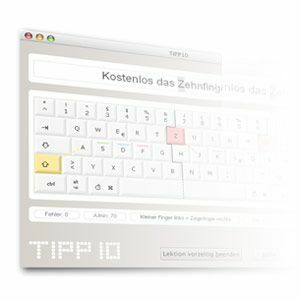 TIPP10 settings allow you to change the defaults for the User Interface, the Training Lessons and the Keyboard Layout. The software supports English and German. A wide variety of keyboard layouts are also available under the dropdown. This type tutor is amazing! After you learn to type fast enough, you can try the races, it is really exciting. I use this site -http://keyboard-racing.com/ - there are always active players of different levels. They also have lessons and articles on fast typing. Once you'll learn it will be like driving a bicycle. Looks to be promising - I think I'll give it a whirl. Give it a 21 day run...your typing is sure to improve. 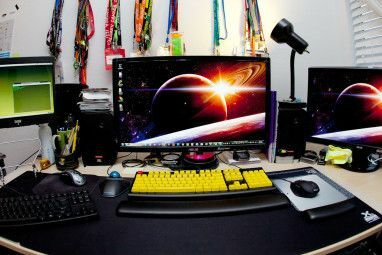 hey saikat, i need your help....i want to learn touch type...i type with only two fingers with 20wpm...should i go to learn on typewriter first or i should learn by myself with software on desktop...i want a speed of 35 wpm on computer i have 45 days in hand...plz soon reply!!!! Nitish...who uses typewriters these days? It's all computers, so I would suggest you learn typing on a computer. I may just have to try this. I've started to use TIPP10 a few days ago and I am glad to say I see an improvement. When I first took up computers, I went and learnt typing on a typewriter. It was frustrating to say the least because there is a lot of difference between the smoothness of a keyboard and the hard-hitting required on a typewriter. But I got the basics down and that has helped. Sure...typing takes about 2 months to learn. Just don't look at the keyboard when you type and soon it will become a habit. Wow only two months!! I am wanting to start but thought it took years to master. Maybe I will give this a try, right now i am using mavis beacon. Have you ever tried that?